how many people are landing on your site? what they are looking at right now? You can update the information by refreshing in the GA panel, keeping track of what exactly happens on your site at this time. 2, This enables you to focus on those who stay longer, what they reviewed and what they expect from your site. According to the details, you will have a better idea of ​​how to optimize your site, according to the information closely related to your target customers. 3, This helps you discover those pages with correct keywords, but the right people landed and abandoned due to unqualified content about it. 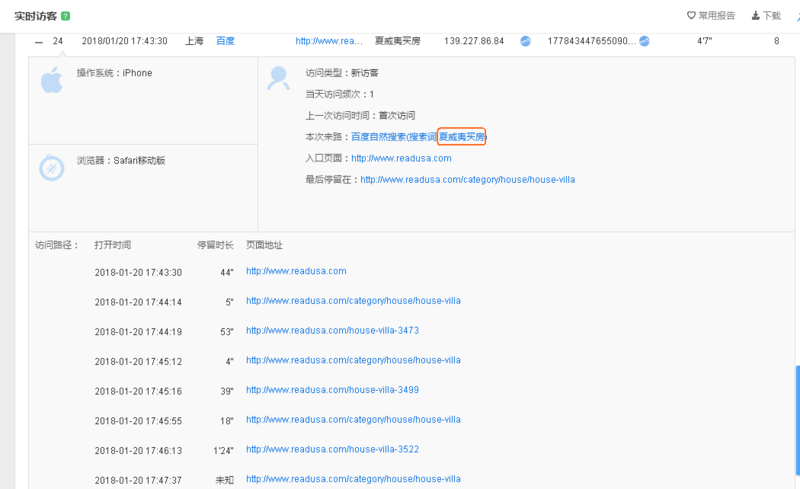 Google REAL-TIME provides real information at this time, while Baidu shows you all the details of each visit, including what happens immediately. You should need this excellent tracking function if your site serves the Chinese audience.